Franchising comes with many expenses, but the business will be worth it if you plan it well. If you can pay all the fees yourself, that is good. However, most of the time, people do not have enough money. If you have this dilemma, you can apply for a business loan. Still, you must make sure that your loan has reasonable terms and conditions. Who says you have to be alone when starting a business? If you have some money, you can find a business partner who has a budget, too. Afterwards, you can pool your money. That way, you can generate capital without having to incur debt. The franchise you are eyeing might be particularly expensive. Still, you do not always have to stick to it. 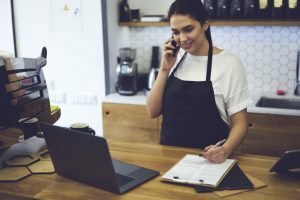 Instead, you can ask your franchisor if they have options that suit your budget. This option will allow you to make the most of your budget while ensuring income. These are some things to bear in mind if you want to finance your business successfully. Assess yourself honestly to find the best option.